Bullet trains in India are among the government’s ambitious projects to join the elite group of world-class countries known for high-tech public transportation systems. With the ongoing construction of the Mumbai-Ahmedabad bullet train corridor, the Indian bullet train project is gaining momentum on other high-traffic routes such as Delhi to Kolkata, Delhi to Amritsar, Delhi to Mumbai, Mumbai to Chennai and Mumbai to Nagpur. 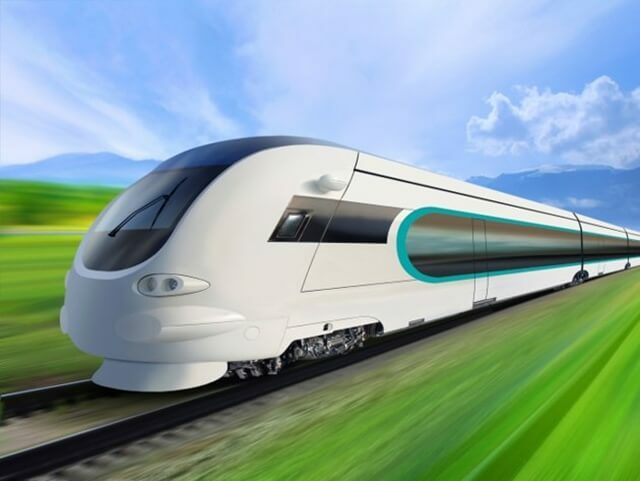 The High Speed Rail Corporation (HSRC) which is responsible for examining feasibility of bullet train corridors in India has submitted the final report to the ministry of Indian Railways, following its studies on feasibility of the Delhi-Amritsar and Delhi-Kolkata corridors. The High Speed Rail Corporation has been working with civil infrastructure technology consultants from several foreign countries to conduct studies on feasibility of other Indian bullet train corridors, of which reports will be submitted by the end of 2017. The list of high speed trains in India includes the Delhi-Amritsar bullet train which will halt at Chandigarh, Panipat and Ambala. It will take 2 hours and a half to complete a one-way trip along the 458-km corridor. It will reduce travel time between Delhi and Amritsar by 4 hours. The Delhi-Kolkata bullet train is one of the most-awaited high speed trains in India. It is an extension of the already approved Delhi to Varanasi bullet train corridor. Of all the upcoming bullet trains in India, the Delhi to Kolkata one will be the longest corridor running 1474 kilometers. It will have 11 stations including Greater Noida, Aligarh, Lucknow, Sultanpur, Jaunpur, Varanasi, Buxar, Patna, Dhanbad, Asansol and Burdwan. Among all high speed trains in India, the Delhi-Kolkata bullet train will cover the distance in about 6 hours, which is one-third of the time taken by the Rajdhani Express on the same route. Approximately INR 100,000 crore is the estimated cost of this project which is likely to start by 2021. Mumbai to Chennai bullet trains in India will halt at two popular destinations – Goa and Tirupati – besides running through Pune and Bengaluru. Those from Mumbai, Chennai, Pune and Bengaluru will be able to travel to Goa and Tirupati in a very short time. The Mumbai-Nagpur bullet train will have four stopovers: Nasik, Aurangabad, Akola and Amrawati. The final report on feasibility of these two bullet trains in India will be submitted by October 2017. The Delhi-Mumbai bullet train is an extension of the Mumbai-Ahmedabad high speed train corridor under construction. Gurgaon, Jaipur, Udaipur, Ahmedabad, Vadodara and Surat will fall in the itinerary of Delhi-Mumbai bullet trains in India. While the work for most of the bullet trains in India is expected to start in 2021, the Hyperloop travel technology is all set to make transport faster, cheaper and safer on major routes in India. However, it’s good to see the changing landscape of travel in India. Indian Eagle is a leading international travel organization booking cheap flights to US cities from India. Indian Eagle’s community portal, Travel Beats publishes the latest travel, tourism, visa and immigration news alongside inspiring stories of Indians at home and abroad. It is very nice to note bullet trains in indiai.i.e from Mumbai to chennai, Delhi kolkata,Delhi to Mumbai and Delhi to /Amritsar running via several routes in the near future. Hope this project will give employment opportunities to many engineering and diplama graduates and dip. holders. Thisis welcome measure taken by our Honourable Prime Minister of India and by the cabinet Ministers. Mathy Thanks a lot to them.